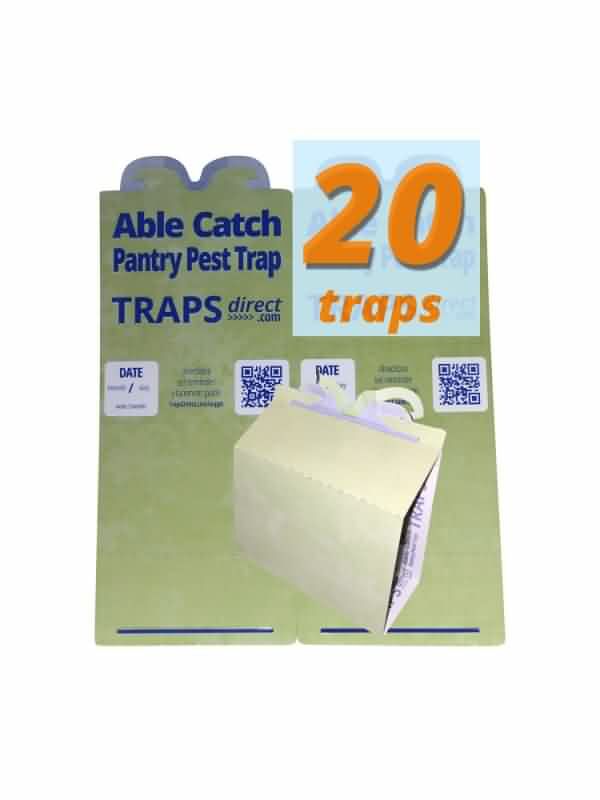 Conquer your moth infestation problem with 20 moth traps ( 10 x 2 pack). 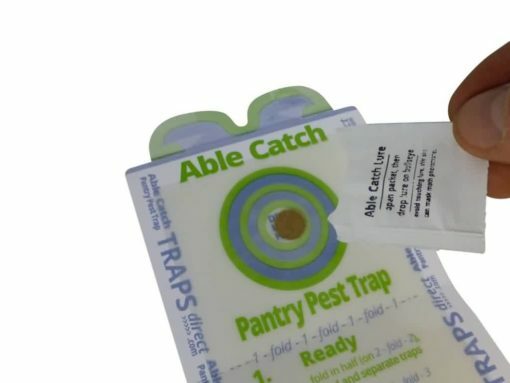 Able Catch Pantry Pest Traps (ACPPT) have 18-24 month shelf life, enabling you to stock up, save 15% and receive 2 day priority shipping. 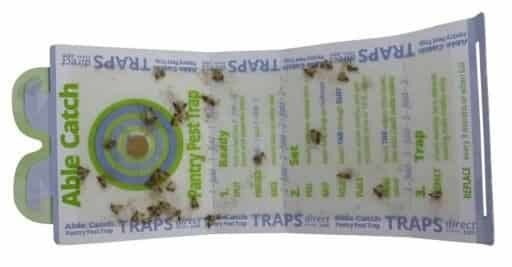 Diligent use of pheromone moth traps will continually catch the males which leads to reduced populations. Depending on how bad the infestation was after several generations population drops below breeding threshold, no more moth larvae, no more adult moths. 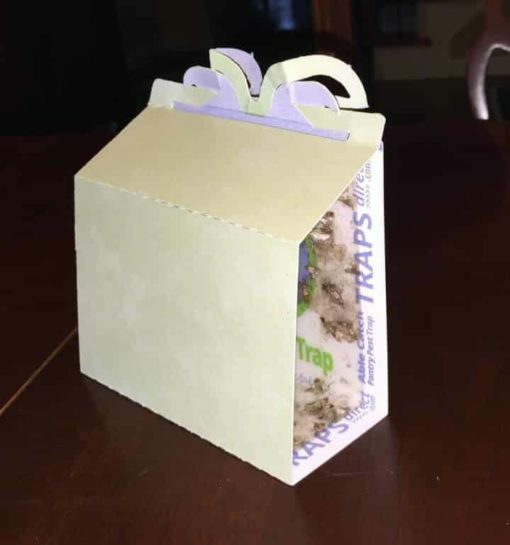 Innovative Trapezoid Design, Green Stone Exterior and always made in the USA. FAST shipping as I was over it with these moths. 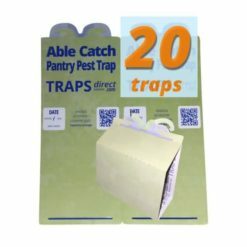 This is an excellent product, very effective.